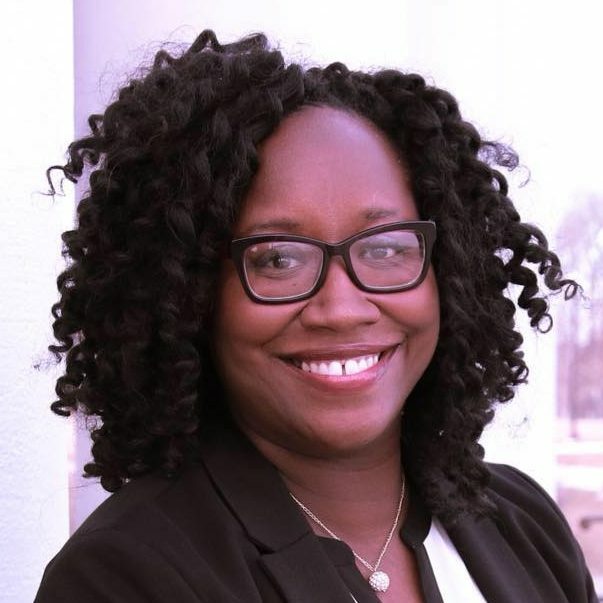 A mother of three school-aged children, founder and president of her own company; AGS Data Analytics Consulting and an instructor and Thurgood Marshall Doctoral Fellow at Western Michigan University, Alberta Griffin is no stranger to hard work, persistence and achieving impact driven success. A longtime resident of Kalamazoo County, she has devoted herself to improving the health and well-being of those in this community. Early in her career, “Berta” as she is affectionately known, served as Head Start Nutritionist and WIC Program Coordinator. Her love for seeing data-driven results lead her to serve as an epidemiologist and Public Health Coordinator for Calhoun County. Wanting to do even more and see a broader impact for the community she took a position to serve at the State of Michigan on the Infant Mortality Reduction Plan. Read more on Alberta&apos;s website. Alberta Griffin, an educator herself, knows firsthand that education and educators are undervalued. Each year teachers are asked to inspire the next generation to reach for the stars on ever-shrinking budgets. Now the discussion has turned to arming our teachers with weapons, effectively adding “security guard” to their increasing list of roles. Berta’s entire career has been in education in some form, from Western Michigan University to health education. Berta will be an advocate for teachers, working to support their needs – from improving the infrastructure of school buildings, fighting against decreased teacher benefits, and working toward reinstating counselors at our schools every day to support students. We need to arm the teachers not with weapons – but with resources! Berta will promote research funding for mental health and she will be a strong voice forward on ensuring mental health benefits with insurance companies are equal to physical health benefits as well as savings and increased productivity. Berta believes that “An ounce of prevention is worth a pound of cure” is as true to mental health conditions now as fire prevention was to Benjamin Franklin in 1735. Mental health conditions are treatable and manageable however, according to National Alliance on Mental Illness (NAMI), there is an 8-10 year gap between the onset of symptoms and treatment, often due to limited access to mental health care. During this time, loss of jobs, the breakdown in the family structure and many other costly things occur. The consequences of untreated mental health conditions are unnecessary and Berta will work to de-stigmatize the shame and fear of coming forward to seek treatment of mental health conditions. She will promote research funding for mental health and she will be a strong voice forward on ensuring mental health benefits with insurance companies are equal to physical health benefits as well as savings and increased productivity. Infrastructure is like the foundation to a house. When the foundation is cracked and buckling, “patch- work” is no longer a suitable fix. In Michigan our infrastructure is cracked and buckling. We have water crisis, sinkholes and potholes so deep, that in one case you can stand up in the pot hole and only see from a person’s chest up. In 2017 the American Society of Civil Engineers (ASCE) recommended that an additional $4 billion is needed to MAINTAIN our roads alone. Instead of making our infrastructure a priority, our Michigan legislators have continued to decrease its funding annually. Berta wants to change this!